This regimen is an important key to heat straightening tightly coily hair and reducing your chances of heat damage. The following regimen should be done 3 weeks prior to flat ironing. 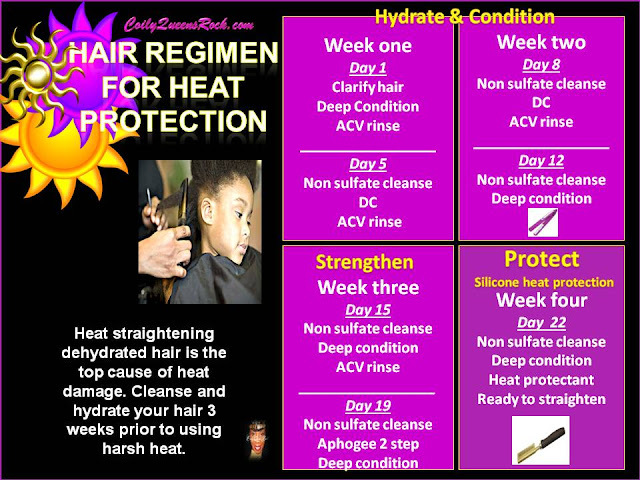 Follow these steps for 3 weeks prior to heat straightening your hair. Notice you apply the aphogee 2 step treatment day 19, this is 3 days before your flat ironing day. Be sure what you do on what day. The steps are very specific. Step one) Shampoo hair with a shampoo that has a PH of 6.0-7.0. Step two) Deep condition with a moisturizing conditioner using heat for 20 minutes. Step three) Apply a protein spray to your hair strands to protect them from the excessive heat. Step five) Braid hair into large sections and allow your hair to air dry. Do not blow dry this is a good way to get heat damage by applying double heat. Air dry only. Step six) Apply more leave in conditioner then apply heat protection that contains silicones. Silicones help protect your hair from heat straightening. 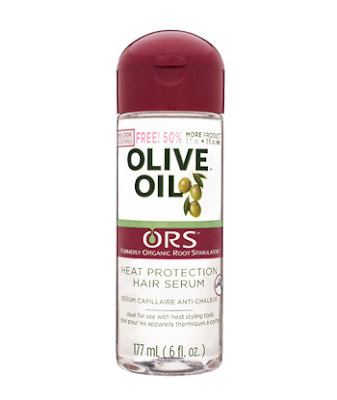 Allow the product to air dry on hair before you flat iron or press your hair. Step seven) To reduce the chances of heat damage keep heat tool between 350 and 400 degrees. Do not do more than 3 passes per section. The next pass uses the comb chase method. Your hair should be straight using this method. If not then make your section smaller the next time. After you complete each section smooth your fingers or comb through section to see if hair breaks or falls out. If it does then you are using to high of heat, reduce heat for next heat pass. Smooth a little grease or anti humectant over each section as you finish it. 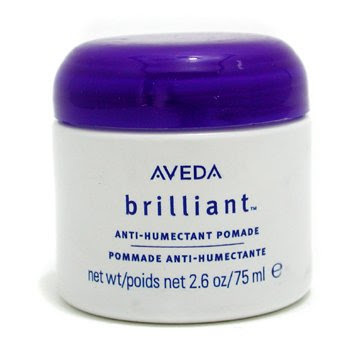 This will help keep hair from reverting so quickly. Rolling the hair with a large roller will also help. Use after heat straightening. Helps to prevent reversion and gives amazing sheen. Your flat ironed hair should feel soft and not break easily. If your hair feels rough or hard, then the products you use are not good enough for your hair. Search for better products to give you more moisture. Also examine how healthy your hair is before you heat straighten. Never heat straighten dehydrated damaged hair. How do you maintain your hair while it is straight? How long should the style last? And how often is it okay to straighten your hair without getting much breakage or damage? I wish i read up on this information prior to doing a Dominican blow out, i figured since its a blow out my hair wont suffer as much damage as a silk press or flat iron. Well it did, i am so upset and feel helpless because i was making great progress with my 4c hair in terms of growth and consistency. VEE MACK is there anything you suggest for already heat damage hair? ?